These days if you want to look in impressive shape then there’s one area of the body that you have to get in optimal condition. The abs. That’s right, in order to prove your manliness in the current climate then your abs must look impressive. Having a weak midsection can completely throw off you physique. Sure, in order for your body to look well put together you have to work every body part with equal intensity and attention to detail. That being said, the abs are paramount among the muscle groups to really bring together your physique, specifically the upper body. For many of the uninitiated, ab exercise is the answer to this issue. For most other muscle groups they’d be absolutely correct. Unfortunately this is only half the truth. Diet has a great deal to with how impressive your midsection looks. The old expression that abs are made in the kitchen holds true. There is no specific exercise you can utilize in order to bring out your abs. That being said, in order to make your abs show you need to work them. The right nutrition will reveal your abs, but if you aren’t working the muscle group then there won’t be much to show off. The ab wheel is a piece of exercise equipment that most lifters don’t give a second glance at the gym. The truth of the matter is that the wheel can work more than just the abs. Sure, many bodybuilders already work their abs when they perform resistance training such as the bench press and the squat. 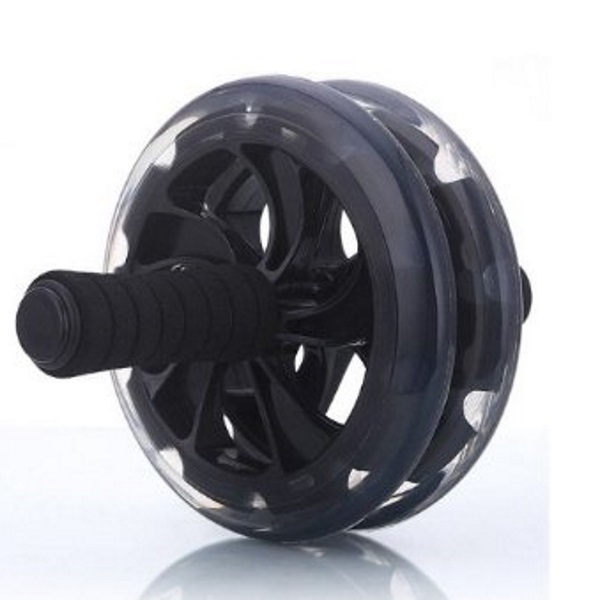 The wheel has it’s own specific benefits that can improve more than just the abs. The ab rollout exercise can build a tremendous amount of strength in the core. It also is great for working the obliques as well as stabilizing the spine, preventing spinal hyper extension which is far from a pretty sight. Essentially the movement is a more advanced version of a planks. It can be somewhat complicated if you’re a beginner and requires specific form and technique much like any other lifting exercise. Unsure of how to proceed with this exercise? Well check out the video below for some great details on how to tackle the ab rollout from beginner to experienced. Are you a fan of the ab rollout? Let us know in the comments and forums.